The Carrot Patch-Shoreline provides an individualized inquiry-based program of learning through play. We offer a carefully crafted curriculum centered around children's familiar environment with an emphasis on the natural world, and designed to challenge and inspire each child. A typical day includes language and literacy, math, science, art, music and movement, dramatic play, social interaction--and plenty of time spent in our engaging, professionally-designed and landscaped Outdoor Classroom. 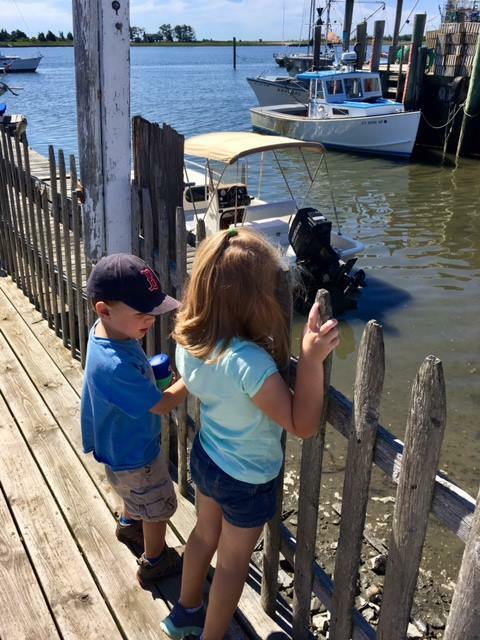 Children enjoy frequent walking field trips to explore our surrounding community. NOW providing professional Spanish language instruction! Shoreline students enjoy frequent fun and educational nature walks around our neighborhood. We are within easy reach of woods, meadows, marshes and the town marina. Kids are active learners-- discovering the world through their five senses, not on computers or TV screens! We prepare our children for their future educational settings by enhancing critical thinking skills. Our teachers inspire in our students a deep love of learning by challenging them to explore, think and grow in fun and interesting new ways. The infant/toddler program is housed in its own building with a cozy home-like setting, and is comprised of two groups. The young toddlers includes a limited number of infants with one primary caretaker. Classrooms are adjoining, and the teaching staff plan together, and offer opportunities for interaction between the age groups when appropriate. 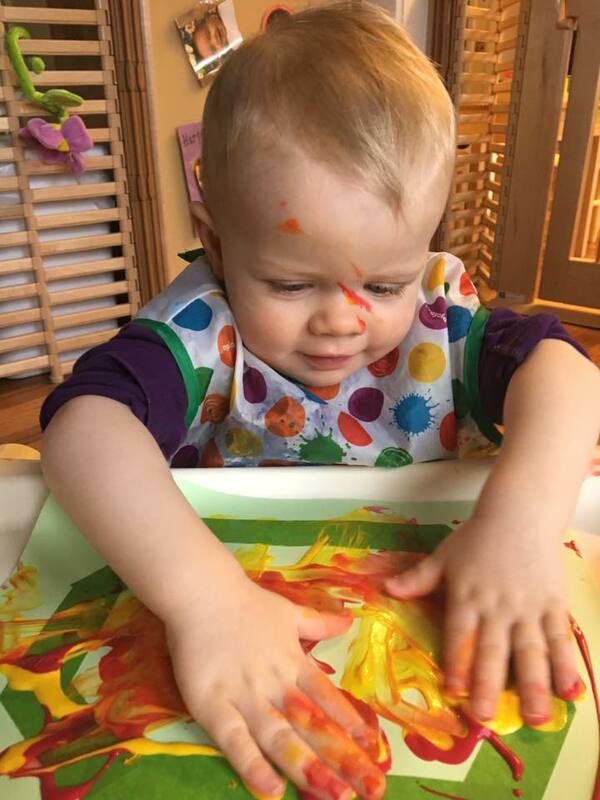 The infant/toddler program offers a balance of structured activities that allow children to master new skills with plenty of free play that fosters creativity, individual expression, and positive peer interactions. The curriculum is play-based and focused largely on nature themes. Daily experiences include plenty of music and movement, art, sensory, dramatic play, social interaction, early science, pre-math, blocks and puzzles. Language and literacy is fully incorporated throughout. A children's librarian from the Clinton Library drops by for monthly toddler story time. Toddlers are encouraged and supported in developing their budding independence. Teachers in the older toddler class work in concert with parents to assist in a positive potty-training experience when each child shows signs of readiness. Children spend a considerable amount of time outdoors, where they can explore the natural world while enhancing their growing physical prowess. Social skills such as emerging empathy, caring and sharing are also emphasized as our one- and two-year-olds explore interactions with their peers and begin the process of recognizing and regulating their own emotions. ​The Pre-K Academy is a special program within the larger preschool designed just for children eligible for kindergarten in the following year. 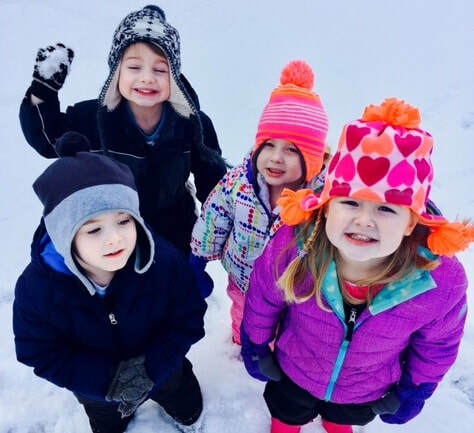 Pre-K Academy students meet in small groups each week to engage in more advanced explorations, further enhancing their critical thinking skills. Our Pre-K Academy students frequently have opportunities to share their learning with younger peers, reinforcing their knowledge and helping develop their leadership skills. ​Project-based studies foster the children's natural desire to explore the world and master new skills. Children who graduate from the Pre-K Academy are excited to tackle new challenges, and have taken the early steps necessary to take charge of their own learning! Our pre-kindergarteners leave well-prepared for the rigors of their upcoming educational experiences. Teachers choose thematic units that take into account the interests of the particular children in their class. Explorations begin with group brainstorming and a recorded list of the children's "wonderings" to help guide the upcoming study. These theme-based units are not scheduled on an arbitrary timetable, but instead last as long as the topic continues to resonate with the group. Within each unit children have an opportunity to explore science, math, language and literacy, the arts, as well as enhancing social-emotional, critical-thinking, and physical skills. Developing and enhancing social-emotional competence is central to learning and working in our community. Peaceful negotiation, cooperation and communication are encouraged and modeled by our sensitive, caring teachers. Opportunities abound for children to acknowledge, understand, and navigate their feelings. Children enjoy daily access to a creative arts center with a wide variety of materials from watercolors to clay. Music is interwoven throughout, providing exposure to elements of vocal and instrumental music. Yoga practice is a regular part of the school week. We provide professional Spanish language instruction to our children. A children's librarian from the Clinton Library drops by for monthly story time. Visits from Meig's Point Nature Center and other community environmental educators are also an important part of the preschool experience.